Teaching is one of the most rewarding jobs that you can ever find. When you become a teacher in Nevada, you place yourself in a situation where you can have a direct influence on the lives of your students. The following steps will help you on your journey toward becoming a teacher in the great state of Nevada. The initial step you should take is to decide what area of teaching you feel called to. Do you want to teach in an elementary school? Perhaps you'd prefer to teach in high school or middle school. You may be considering a career in special education. Regardless of which you choose, you should decide before taking on the next steps to ensure that you stay on track. Each area of teaching requires a different license. If you are still not sure, Nevada's Department of Education offers more information on schools and students, which could help you make a more informed decision. It is a basic requirement that public school teachers in Nevada have at least a Bachelor's Degree and and complete a teacher preparation program. The program must be approved by the Council for the Accreditation of Teacher Preparation (CAEP). If you do not yet have a Bachelor's Degree, you can ask a college or university advisor if your school offers a blended program; most accredited institutions of higher education do. Blended programs put together the needed work for a Bachelor's Degree and a teacher preparation program. If you know that you want to teach from the start, you should get involved in a joint program as soon as possible. Teacher preparation programs can be completed online or on-site. 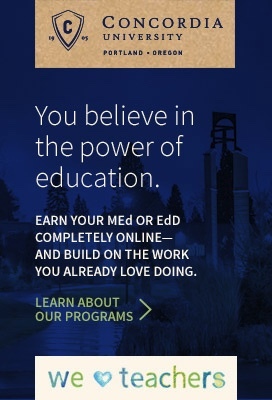 Most accredited colleges or universities offer these programs. As mentioned earlier, if you decide on teaching early on in your college career, you can complete a teacher preparation program at the same time that you complete a Bachelor's Degree. This is called a joint or blended program and helps you become a teacher more quickly. If you already have Bachelor's Degree, you can complete this through a post-baccalaureate or alternate program (detailed below). Teacher education programs normally consist of a set curricula and fieldwork. Curricula refers to the classes you will take at your institution. In these classes you will learn about subject-based teaching methods, differentiated instruction, lesson plan design, technology integration, and more. Fieldwork often refers to student teaching experiences, field observations, and/or internships. You will learn how to create and implement lesson plans while working with a veteran teacher in a school. Often, you will be asked to write reflections on your teaching experience and put together a portfolio. Aside from the traditional route, there are alternate routes to becoming a licensed teacher in Nevada. Nevada welcomes teachers from other states. If you hold a valid license to teach in another state, your license may be used for reciprocal licensing and/or waiving testing requirements on an initial Nevada license. Reciprocity could apply if the grade levels and subject areas you are licensed in match the licensing areas that are available in Nevada. Keep in mind that for this alternative path, your out-of-state license cannot be provisional, alternative, emergency, or temporary. There is a possibility that your reciprocity could be used to waive some required Nevada state testing. 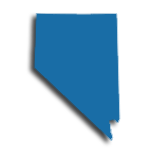 You can find the Nevada Reciprocity Application and more information on alternative routes on the Department of Education's website. If you want to teach in the state of Nevada, there are several tests that you need to take and pass. There is a basic skills test that you must pass in addition to a subject area competency test. The subject area test will be based on the specific subject or level you want to teach and become licensed in. These tests can usually be fulfilled by taking the Praxis Series exams. Nevada uses the Educational Testing Service (ETS) for administration of their Praxis Series competency testing. The Praxis Series website has more information about the tests including test questions, passing scores, testing dates, locations, and more. Some schools require that candidates pass some tests before entering or exiting a program. Ask an advisor or program representative to find out what is required of you. Review Acceptance of Foreign Transcripts for details, if applicable. One completed Form FD-258 (REV 5-11-99) fingerprint card. This is a standard blue and white card used in most states and by the FBI for miscellaneous fingerprinting. Once you go through the above steps, you will be completely ready to take on a career in the field of education! Your students await! There are some shortages of qualified applicants in some critical areas like special education, language arts, and math. Upon accepting an employment offer, teachers can join a state labor union chapter like the Nevada State Education Association (NSEA) or the Nevada State Education Association (NEA). Both have the primary objective of advocating for the professional rights of their members. When teachers retire, they are able to rely on their monthly pension through the Public Employees' Retirement System of Nevada (NVPERS). Depending on how many years of service they put in, the pension could be a sole source of income. Teachers are advised that private schools are also seeking qualified applicants in many of Nevada's 194 private schools, half of which have a religious affiliation. Private schools may or may not require that teachers be certified. Each private school may have their own requirements. To find out specifics, contact the private school of choice to inquire. The table below lists the number of public school teachers in Nevada by grade level during the 2012-2013 school year. There are more than 150 private schools with an estimated 1,400 private school teachers in Nevada. The table below details the number of teachers by grade level during the 2011-2012 school year. After obtaining a state teaching license, teachers embark upon a career-long endeavor of professional development. This undertaking has been shown to improve a teacher's professional practice, which in turn boosts student academic achievement. In addition to these factors, teachers who engage in high-quality professional development tend to achieve their long-term career goals. It is important for all educators to ensure that professional development opportunities are in line with state, district, and school goals. Professional development offerings range from deepening a teacher's knowledge of the classroom subject matter to integrating technology, accommodating special populations, as well as multiple evaluation and assessment methods. Nevada's Department of Education requires that teachers pursue the equivalent of 150 contact hours of approved coursework throughout their career. The hours can be distributed across the subjects that the teacher teaches. Teachers who require further clarification are encouraged to contact their Regional Professional Development Program (RPDP) for more information. You won't need a master's degree in Nevada to teach, but that doesn't mean earning one isn't valuable. In fact, the Nevada Department of Education acknowledges teachers who have earned a master's degree with the Professional License. You'll hold a five-year Standard License when you start out as an educator in Nevada. However, earn your master's (or another advanced degree or National Board Certification) and complete at least three years of full-time teaching experience and you'll qualify for a Professional License. Your Professional License is valid for a period of six years (or eight years with an educational specialist degree or ten years with a doctorate or National Board Certification). Both the Standard and Professional Licenses require six credits hours of instruction (professional development credits, university/college credits, or a combination of the two) during each licensure cycle. Learn more about renewal requirements here. In addition to recognition by the Department of Education, a master's degree may be your ticket to better job opportunities, leadership positions, and increased pay as a Nevada educator. For example, teachers in the Washoe County School District earn a minimum annual salary of $38,622. However, those with a master's degree and Professional License earn a minimum salary of $43,503 - an increase of nearly $5,000.